3. A primary engine of capacity building in the broader Sunshine Coast region, from Brisbane to the Fraser Coast. USC is in the pilot accreditation program for the national SAGE Athena SWAN initiative to enhance gender equity in Science, Technology, Engineering, Mathematics and Medicine (STEMM). The School of Nursing, Midwifery and Paramedicine has well-established and rapidly growing Nursing and Midwifery programs offered across campuses at Sippy Downs, Caboolture, Gympie and Fraser Coast. The School offers a range of undergraduate and postgraduate nursing, midwifery and paramedic science programs and has a growing research student cohort. 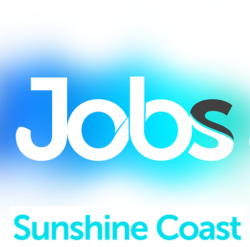 This position can be based at either Sunshine Coast or Caboolture campuses. The University will consider flexible work arrangements for this position, including part-time or job share arrangements. Job Categories: Education and Training. Job Types: Full-Time. Occupation: Professionals.